Hi everyone! My husband and I travel a lot. 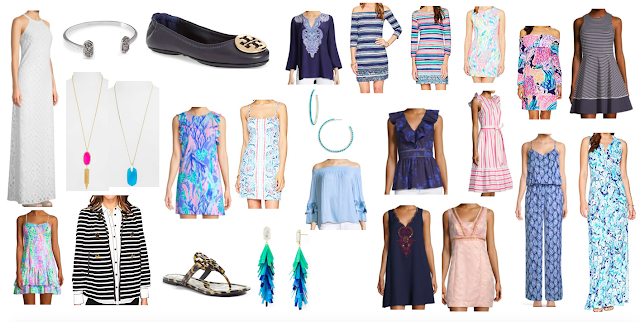 Before our most recent trip, I found myself ordering a handful of last-minute things with Amazon Prime (because it was too close to order anything that *didn't* have 2 day shipping!). 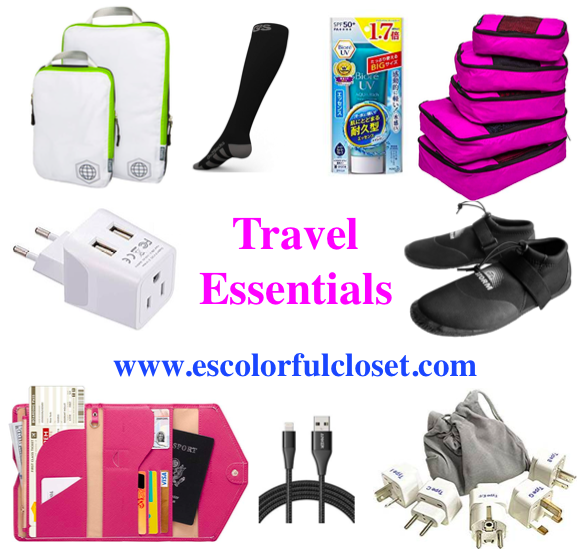 Today I'm going to be sharing a couple of my last minute purchases, plus some other tried and true travel items that I use on almost every single trip. I am an over packer. I also do not unpack in hotels, other than hanging a few things up. This used to lead to my suitcase being a massive jumble of all my clothes by day 2, with me rifling through everything every time I needed anything. These packing cubes literally changed how I pack. I have multiple sets, and I love that each set comes with a few different sizes. When packing, I put outfits in one or two cubes, pajamas in another cube, socks/underwear in another, etc, so that when I'm looking for something specific, I just have to find the right cube, instead of searching the entire suitcase. 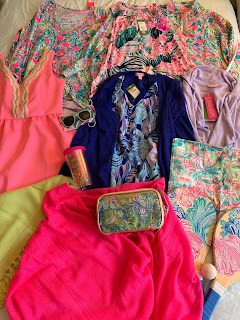 It also makes packing your suitcase neater. 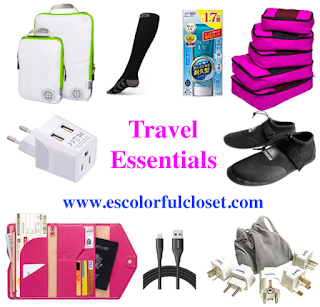 People sharing a suitcase could also use different colored packing cubes to designate which items belong to which person. 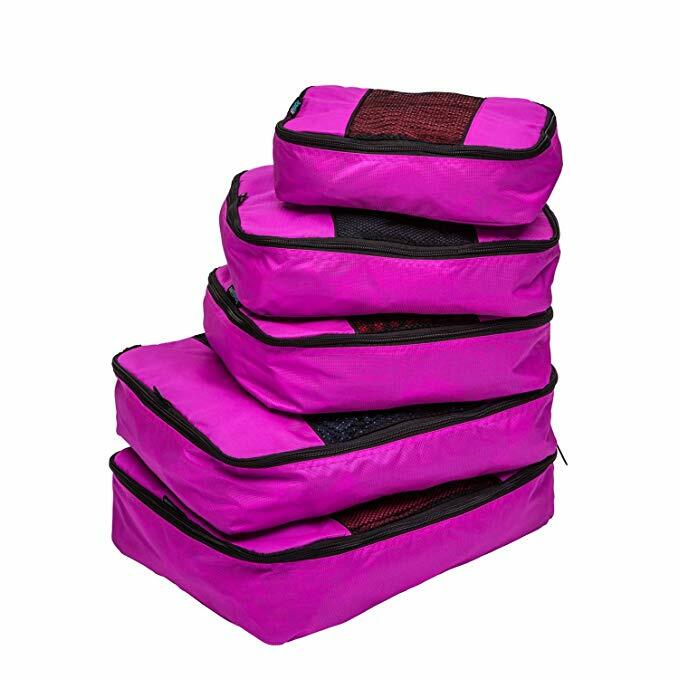 If you don't completely stuff your packing cubes, these compression packing cubes can help you save space. Fill them up normally, and once they are zipped closed, zip the extra zipper to compress the cube to make it even smaller, which helps save space in your suitcase. Note: you will not be able to use the extra compression zipper if you absolutely stuff these packing cubes full (not that I've tried this or anything...). 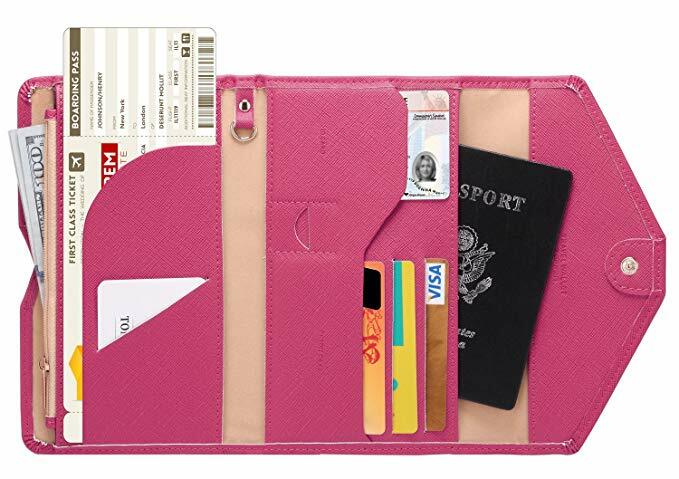 This wallet is perfect for organizing all of the documents and extras you might carry when you travel. There are slots for money, cards, id, your passport, and tickets, plus a zip pocket for coins. 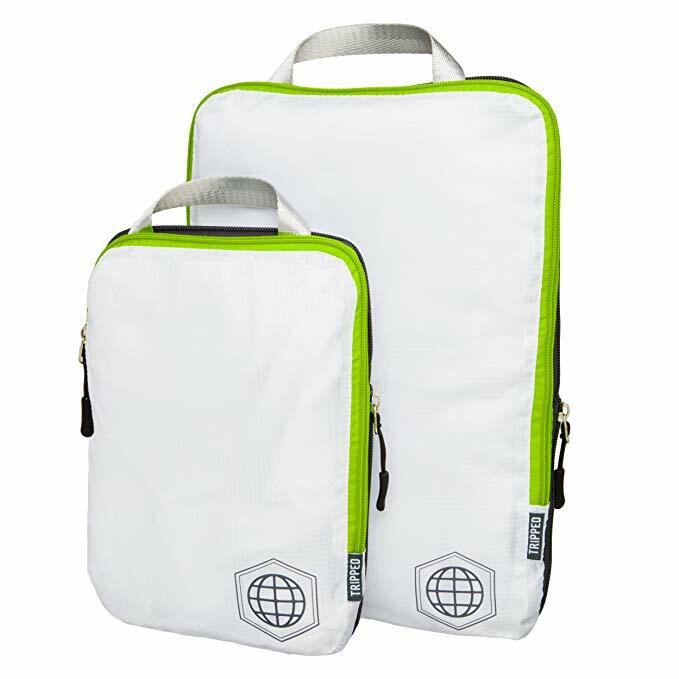 The zip pocket is also a great place to keep your normal sim card safe if you buy and use a new one in another country! After reading this article about a travel writer who got Deep Vein Thrombosis (or DVT) on a 6 hour flight, I decided to get some compression socks. DVT can lead to very serious health complications. In short, it is when a blood clot forms in your calf, which can be caused by being immobile for long periods of time, like when sleeping on a plane. Being dehydrated, which happens easily on a plane, can contribute to this risk. Compression socks can help lessen the risk of DVT. On a recent trip, my husband and I had two 12-13 hour flights and two 5 hour flights. 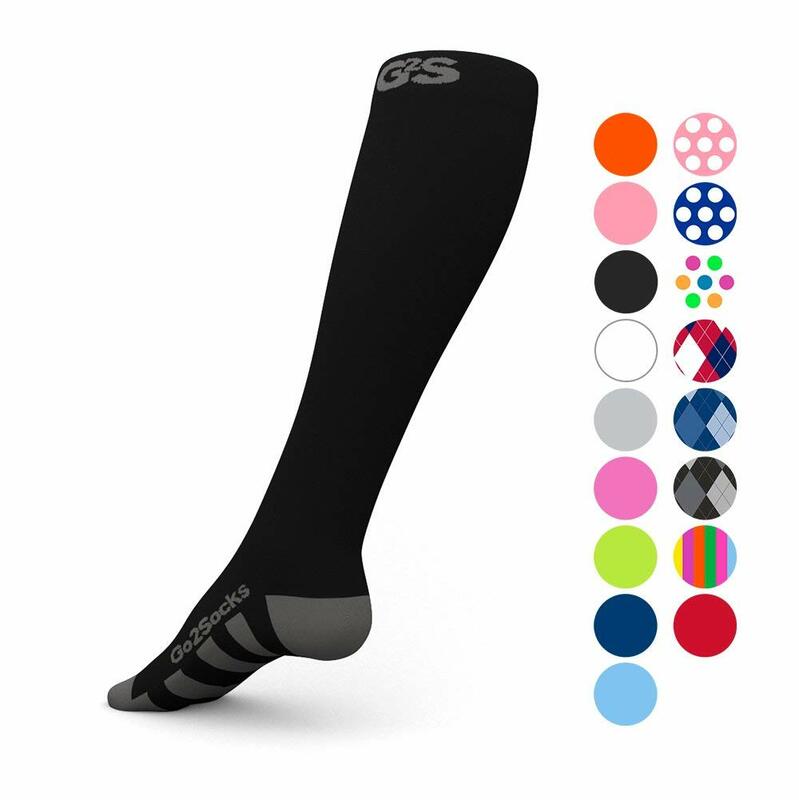 I decided to order these compression socks for the trip to lessen the risk of DVT. Bonus: wearing these can also help prevent swollen ankles, if that happens to you when you travel/are on your feet for a long time. I really didn't notice that I was wearing these compression socks for the most part, so I'll be wearing them in the future on any long flights we go on. I wanted some water shoes for our recent trip, but the ones I was looking at were more money than I wanted to spend on shoes I'd use for a week and that's it. I found these on Amazon, and they were perfect! 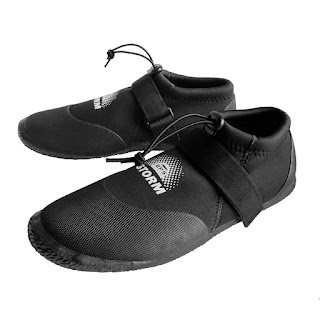 They protected my feet when I was in the ocean, but cost less than $20. 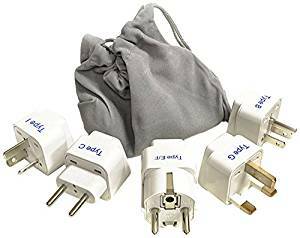 If you are traveling somewhere international, you will most likely need adaptors to be able to use the electrical plugs in another country. 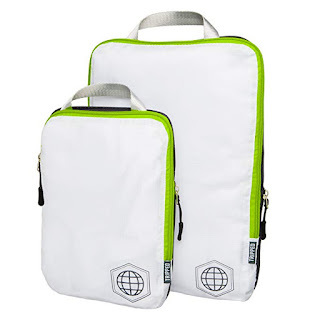 This set has 5 adaptors, so you should be covered almost anywhere you travel. 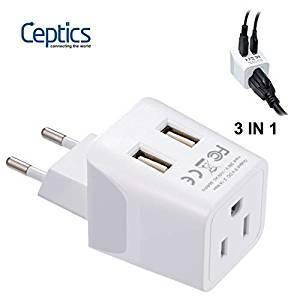 If you're going to Europe, this is a great adaptor to have. Lots of times in Europe, old hotel rooms only have one or two plugs in the entire room. This adaptor comes in handy because it lets you plug in one regular US plug and two USB cords all at the same time, but it only uses one wall plug. Note: this adaptor does not work for England/Ireland since they do not use the same plugs as the rest of Europe. After trying Anker charging cords for my iPhone, I will never use another brand again. These cords are easily the most durable phone charging cords I've ever used. Previously, I'd order a random cord that would break within a few months. 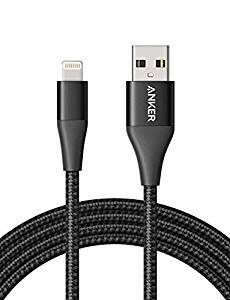 I've used Anker cords for over 2 years, and I've never had one stop working. I love that they have the option for a 6 foot long cord. It's really nice for situations where a hotel room doesn't have a plug right next to the bed. I can usually plug my phone in somewhere else, and have the long cord still reach the nightstand. My husband discovered this sunscreen on the "Skincare Addiction" reddit page. It's apparently from Asia and not available in the US, but you can buy it on Amazon. This is by far the least greasy sunscreen I've ever used. Like the name suggests, it's a very thin, watery liquid that seems to absorb into your skin immediately. 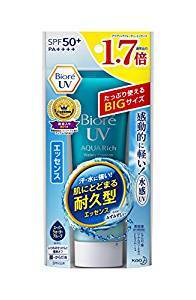 I have oily skin, and sometimes sunscreen makes me break out, but my face stayed breakout-free when I used this sunscreen liberally for a week straight on vacation. My face also didn't get sunburned, which is shocking considering I have fair skin and we were very close to the equator. I will definitely be ordering more of this sunscreen!